Collect information about your clients and prospects and use them to your advantage. An online form is a great way to collect information about your clients both current and prospective. Now add the name of the form and a brief description of what it is about. Then press save. You will be brought back to the list of forms created for your account. Look for the new form you just created and click on the "build" icon. Start building the questions on the form by clicking on 'add question'. 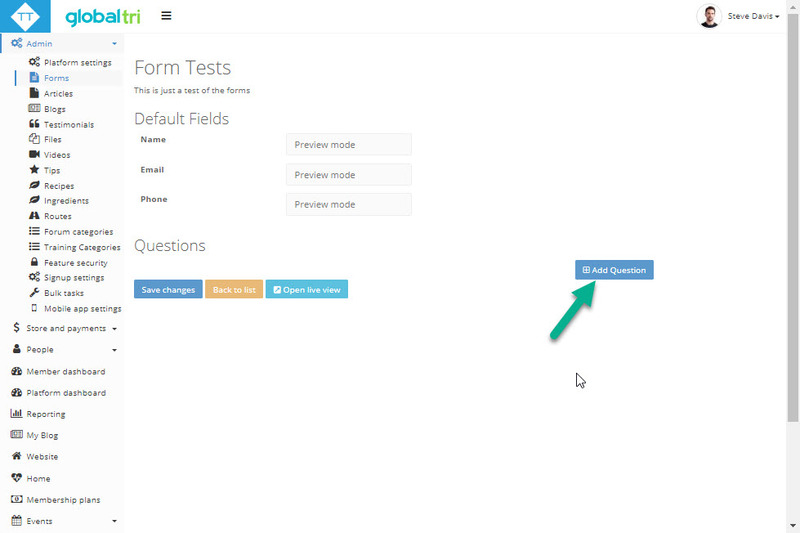 The form has a number of default questions but you can begin to add your own by clicking the "Add Question" button. Choose what type of field and type the question and some additional instructions if required. Some field types require multiple choice answers. You can change the order of the answers using the up and down arrows. When you've added all your questions make sure you click the save button. To view your form at any time click the "Open live view" button. Now make any changes to the form like the name or description and click save. 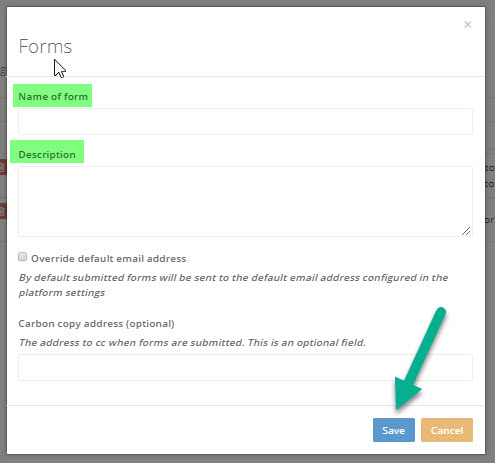 You will then have a new form in the list, click the build button to make the changes required to the copied form. To share the form with your clients you can use the url from the live view page and email it to them or include the link on any of your web pages. 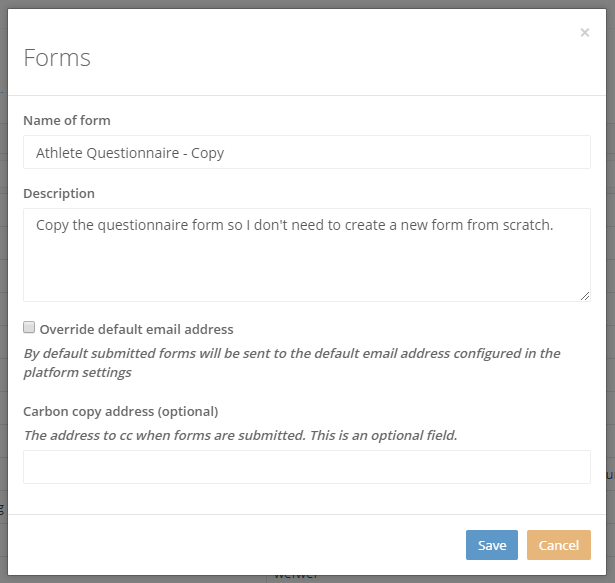 You can also use the system to send the link to the form to athletes, groups of athletes or individual email addresses. Full guide to sending forms can be found here. To send the form go back to the forms list and click the envelope to get started. Full details on viewing submitted forms can be found in this guide. To get started go back to the forms list and click the history icon for the related form. We can also use one of your forms to apply to your members profiles. A great way to record additional information about your members. If you want to use one of your forms as part of your members profiles, create the form then send us a message and we'll hook it up for you.